Although the people’s opinion about BoxPN tends to vary depending on who you ask, the general consensus is that it is a mid-tier VPN provider with some strong points and more than a few weaknesses. However, the formers are attractive enough to make BoxPN a viable option for privacy and anonymous browsing. The service has its operational base in Seychelles, which means that there are no data retention laws to comply with: users’ data and online activity are safe, as the brand has a strict no logging policy and doesn’t collect and share anything. Although the server network is disappointing with 80 (and 22 countries), BoxPN has no bandwidth limits and offers P2P activity, which means that torrenting is allowed. The 2048-bit encryption is solid, too. The thing is that BoxPN has a not-so-flattering reputation, but is primarily related to past experiences with customer service, billing errors, and technical issues. However, the company still has that load over its shoulders. However, to be fair, since the brand changed owners, the service has improved considerably. It still has some annoying issues, but it has evolved into an acceptable VPN, albeit far from an elite one. BoxPN’s prices can be best described as accessible, although they are not particularly cheap. Given that some of the very best VPN alternatives in the market have the same cost, you probably would be better off with one of them. The monthly price is $9.99, right around the higher-end of the spectrum. However, as most VPN brands do, BoxPN offers some incredible deals and discounts for users that choose long-term paying mode. The monthly equivalent of the six-month subscription is $6.66, paid every half year. 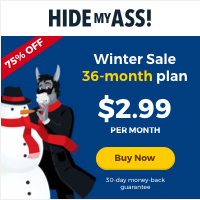 The best deal, however, is the yearly subscription, at a prorated amount of $2.99. 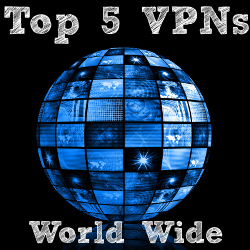 It is one of the most enticing discounts in the VPN universe! As for paying methods, the company accepts the most widely spread credit cards (Visa, American Express, and Master Card,) Perfect Money, Discover, Bitcoins, and Paypal, among others. We wish we could tell you that it is very straightforward to get your money back from the customer service department if you are not satisfied with BoxPN’s service. However, it is a lottery, as numerous users have complained about billing mistakes and difficulties at the moment of the refund. The general consensus is that BoxPN doesn’t have a free trial available, despite some users claiming to know how to access a “secret” three-day window to try the features before acquiring a paid commitment. One thing that can’t be argued is that BoxPN makes life easy for users and VPN beginners at the moment of getting, installing, and using the app. The process is very straightforward, as customers can easily set up their preferred privacy options. The website is very well-organized, clear, concise, and has a very user-friendly design and layout. The instructions for installing and use the services are clear and customized according to the operating system. BoxPN is compatible with all the major operating services, including Windows, Mac OS X, iOS, and Android. If customers have any issues at the moment of signing up or using the client or app, there are setup guides accessible via the customer service department. The client for Windows 7 is particularly user-friendly, and there are step by step installing instructions for other operating systems, too. As per the industry standards, BoxPN allows new accounts to connect up to five devices at the same time. This brand offers an attractive no log policy for the most privacy-conscious customers. Another strong point is that BoxPN offers its subscribers unlimited bandwidth, speed, and server switching. They foster a secure, fast environment for P2P activity, which is why this option is suitable for torrenting lovers. Also, they’re a good fit for P2P downloaders and Bit Torrent users. They permit Bit Torrent traffic over their servers, which seems to be hit or miss when you look at the industry as a whole. In addition, BoxPN supports all the major platforms, including iOS and Android application support. But there’s one ‘feature’ of their service that makes me question their validity. One of the main drawbacks of BoxPN as a service is the low amount of servers it has. 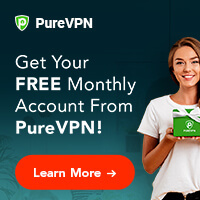 Users can only enjoy a total of 80, spread in 22 nations in the world, which is a disappointing number considering that, for a similar price, you can get a VPN with more than 3,000 servers. The 22 countries available for connection isn’t particularly bad. The red flag here is the less than a hundred servers. Don’t mistake BoxPN as one of the fastest VPN services in the world. But, despite a sizable community of users complaining about slow speeds, the VPN has managed to somewhat improve with each passing year. However, the most annoying issue doesn’t seem to be the occasionally slow servers, but the unstable performance. Given that BoxPN only has 80 total servers, it comes as no surprise. Several customers have also complained about buffering problems, instability, packet loss, and unbearable video streaming. Privacy is one of the aspects in which BoxPN definitely excels, as it has a no logs policy with few or no complaints, and is very well located in the privacy (and physical, too!) paradise that is Seychelles. The company implements Microsoft TMG to protect its users against spyware, and they scan sites and pages for viruses, phishing, and cyber-attacks. BoxPN uses the very good 2048bit SSTP encryption. 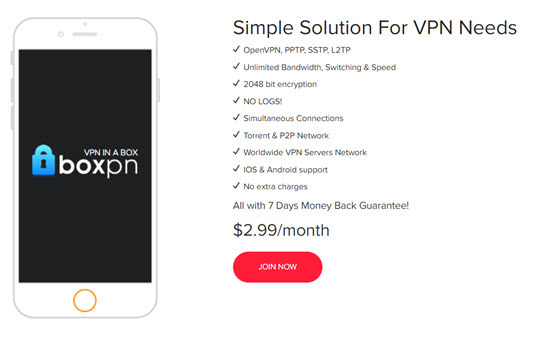 As for VPN encryption protocols, BoxPN offers OpenVPN, L2TP/IPsec, SSTP, and PPTP, which is what you would expect from a $10 VPN brand. Although it doesn’t have a complete knowledge base just as some of its competitors, BoxPN has really improved its customer service in the last year or so. The setup guides and manuals are extremely helpful and customized depending on the operating system, and there is also an FAQ section. There are step by steps instructions to install and configure the Windows, Android, and iOS clients and apps. However, everything is not perfect (far from it, to be honest,) as the company does not have a live chat service or a telephone number. They do have a contact form as a “ticket” system.